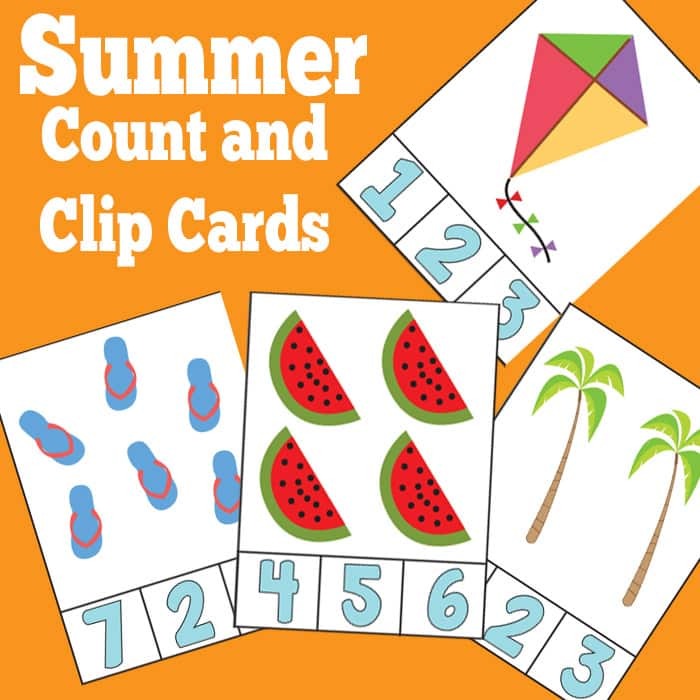 Summer Count and Clip Cards – counting Made Fun! These free printable count and clip cards will make it way easier for kids to learn the numbers and counting! These have numbers from 1 to 10 and there’s even a card with 0! All have fun summer themed pictures so are just perfect to use in the summer. Be sure to either print these on construction paper or to laminate them so that they will be able to be used again and again. Get your free Printable Summer Count and Clip Cards here.